My humanities moment came in preparing to teach a course on the French Revolution. I am by training a Byzantinist and medievalist, but got my job as a world history teacher. To fill in the gap and also since I could read French, the acting department chair gave me the job of teaching the French Revolution, even though I had gotten a D in that subject at Haverford College. 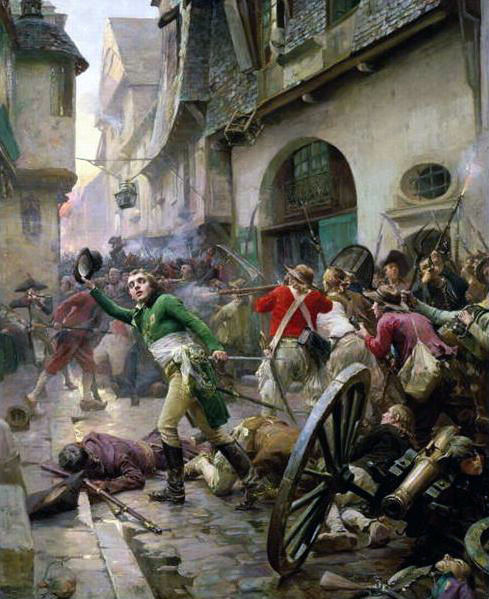 So I did some background reading, and one of the things that I remember was the wild statements of Jacobin party leaders in their attempts to bring virtue to the French Republic, and their moralizing about the old Regime and the evils of the Church – I remember one document in which the Jacobin speaker raged on about the black deeds of the Spanish Inquisition. As I was preparing my lecture, I realized that the Spanish Inquisition executed approximately 3000 people in 300 years, and most of those were under Ferdinand and Isabella in their attempts to unify the kingdom. The Jacobins executed 40,000 people in a year. I had always been an American liberal until that moment. I did not change immediately, but the increasing shrill tone of progressives – the hatred that is displayed against people like Kelly Anne Conway – remind me of Robespierre.